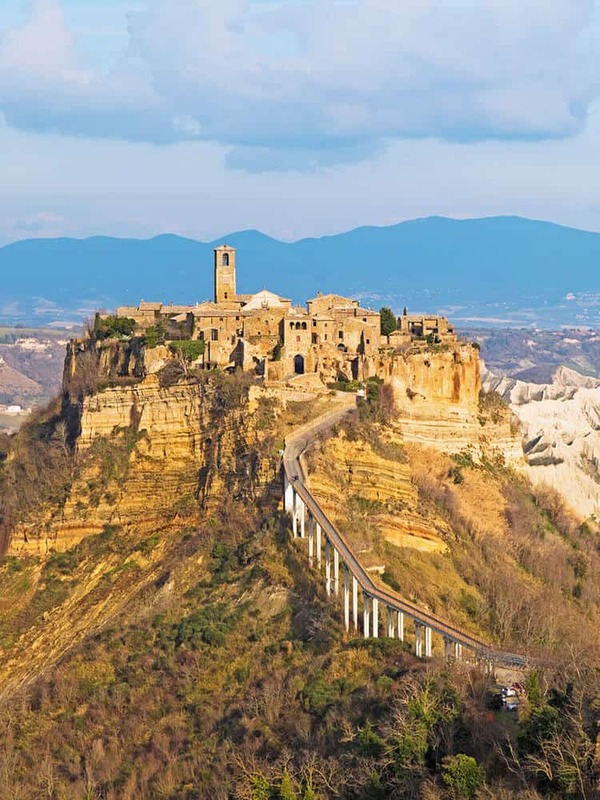 Civita di Bagnoregio: dying city or cat’s town? Planning a romantic trip is probably one of the best ways to celebrate Valentine’s day or a special anniversary. Yet it can be particularly difficult to choose when there are so many beautiful places to see in Italy. Let me introduce you to the most romantic Italian getaways that you can enjoy with your better half, with a few tips and tricks from the locals. 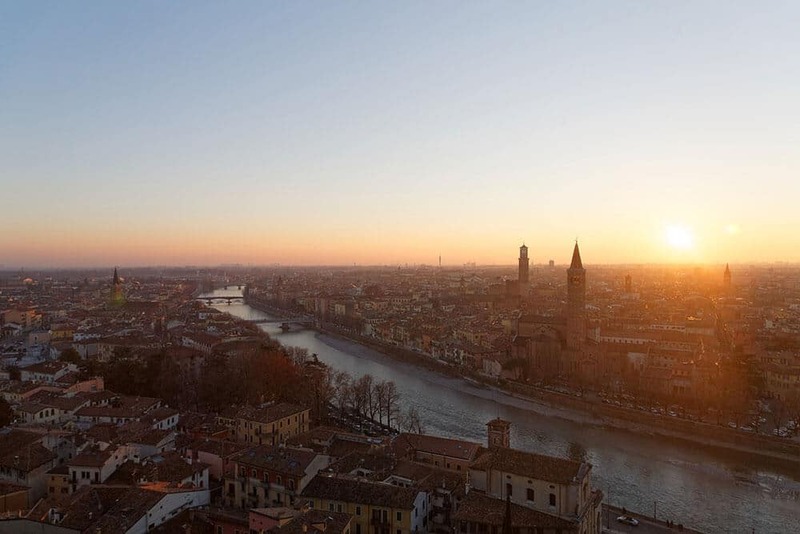 Verona is at the top of our romantic Italian getaways list and for a good reason. 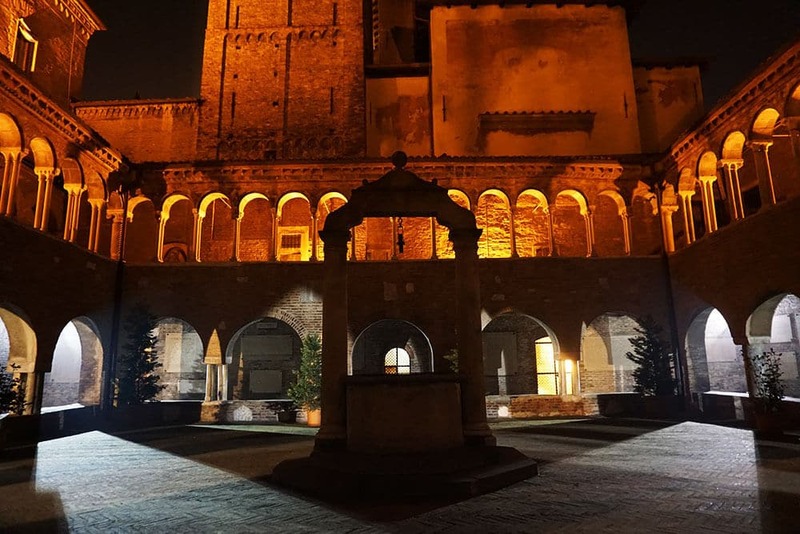 The city of William Shakespeare’s Romeo and Juliet is visited every year by thousands of lovers who want to see the medieval building known as “Casa di Giulietta” (Juliet’s house), located in via Cappello 23. You will be able to see Juliet’s balcony and her bronze statue. The visitors put their hand on its heart and wish for eternal love. In case you feel like eloping in Italy, know that it is possible to get married at Casa di Giulietta! How romantic is that? Are you visiting Italy in the warmer months? Check out what to wear in summer in Italy to make sure you avoid these common tourist mistakes! Not too far away, in Via delle Arche Scaligere, there’s the Casa di Romeo (Romeo’s house). Because this is private property, you can’t visit the inside, but the walk from Juliet to Romeo’s house, hand in hand with your special one, is also very romantic. At the Casa di Romeo there’s Osteria del Duca, a very nice restaurant with local (delicious) food (please make sure you read our guide to Italy tipping before you go). The romantic Shakespeare tour of Verona ends at the place that the local legends identify as Juliet’s tomb, in an ex monastery right outside the Verona walls, in via Pontiere 35. If you’re visiting Verona, make sure to check out the events at the breathtaking Arena, they’re definitely the cherry on the cake for a romantic Italian trip! 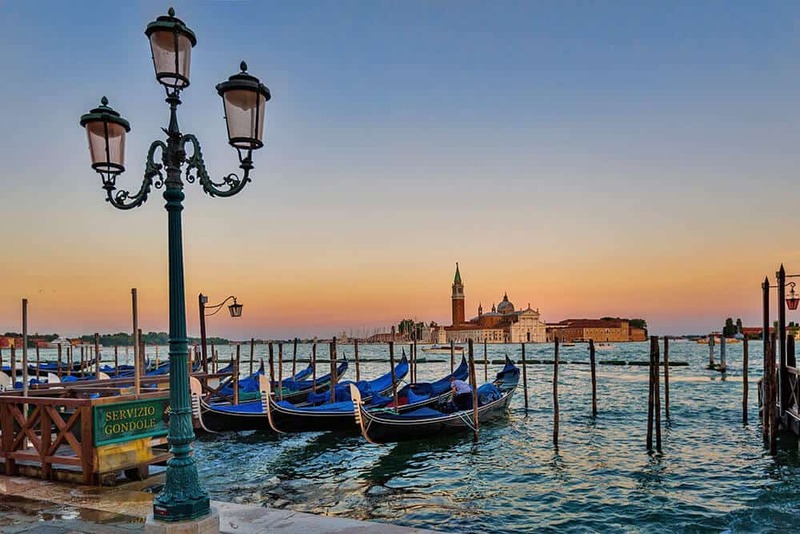 Italian getaways usually include Venice, especially for traveling couples. The city on the water is very popular, to the point that one of the most romantic things you can do to spend some quality time with your partner is either go for a gondola ride (which you can book here in advance at a special price) or wander around, in places hopefully less crowded. Venice can be explored also renting a bicycle, with a nice cycling tour. The labyrinth of medieval alleyways and canals is perfect for you to get lost, snatching the odd moment of solitude. If you walk out of St Mark’s Square, you will reach, to the West, the Cannaregio area. It’s not overly full of tourists because it isn’t about the major sights, and it can be very romantic. As you stroll through the narrow streets, you can explore the Ghetto, one of Venice’s most evocative areas, or sit at a cafe watching kids play football. Another pretty romantic area is Dorsoduro, the southern part of Venice. It feels more like a village, far away from the huge crowds and the fuss of the touristic side of the city. This area is full of cute bars where you can drink without spending too much, and it’s also close to Campo Santa Margherita, generally busy with students and lovers. A road trip on the Amalfi Coast can be the perfect Italian getaway that you can book to surprise your partner. According to the season, there are many festivals or events that you can attend, like the Ravello Festival (one of the oldest and most renowned music festivals in Italy) or the several food festivals where you can taste traditional Neapolitan food at tiny prices. Also if your significant other loves to tan, you can explore all the best beaches on the Amalfi Coast: many of them are only known to the locals! Whether you decide to book a hotel in Positano, Amalfi or any other town on the coast, don’t forget to visit Sal De Riso, the famous bakery in Minori. You can spend an afternoon there or even the whole evening, tasting cakes and pastries from the Naples or Salerno tradition, or drink hot cocoa while eating colorful macarons. The shop looks almost like an art exhibition more than just a bakery: Mr. De Riso loves beautiful things and makes sure the aesthetics in his shop are always perfect. If you want to spoil your partner you can book a scenic cruise that includes homemade limoncello tasting (the real stuff)! Walking at night along the coast or on the sand, hand in hand with your beloved one, with the sea sounds in the background and the Moon witnessing your whispered words is one of the most incredible experiences ever. The perfect way to celebrate a special occasion or to honeymoon in Italy! Extra-special occasion? Think of booking a hotel in Ravello: it’s by far the most romantic town on the Amalfi Coast and also the least crowded! If by any chance you’re not sure you can plan your own trip or if you’re visiting from Rome and don’t want to deal with train tickets and buses, check out my hand-picked list of the best Amalfi Coast tours! Famous for art and good food, in Florence you will find some of the most romantic hotels in Italy. 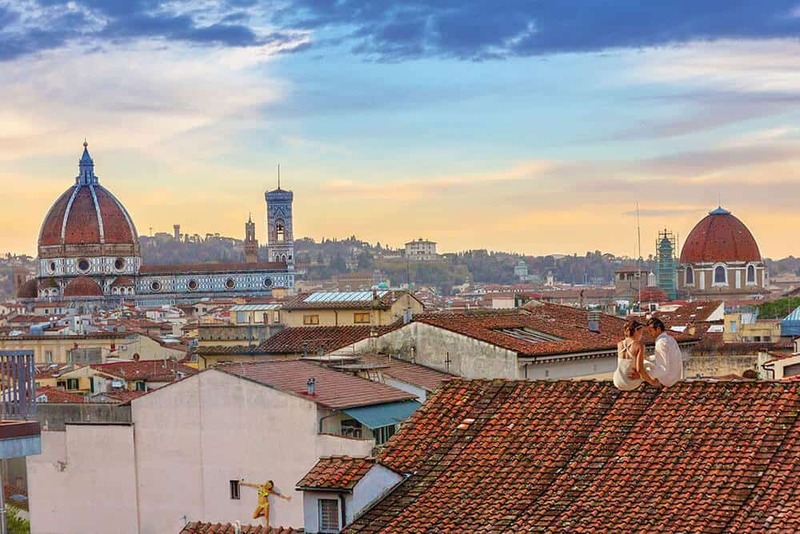 Perfect either just to spend a romantic weekend with your better half or to propose, Florence can be enjoyed in two ways. If you have visited already, then you can dedicate your time to the delicious food (some of the best dishes in Italy) and maybe to a glass or two of Chianti wine. Just rest, visit the spa and relax. If, on the contrary, you’ve never been there, spend the first of your (hopefully!) long list of Italian getaways visiting the many museums. I’ve been to Florence many times and unfortunately I’ve always found it pretty crowded. Tourists from all over the world stand for hours in line to get into the Uffizi Gallery, so the best way to go is to buy your tickets online in advance, to just avoid all the mess outside. Grab a cornetto (croissant) and cappuccino early in the morning and enjoy a peaceful walk along the Arno river, before the huge crowds armed with selfie sticks arrive to spoil all the fun! Some views of the Cinque Terre look awfully similar to the Amalfi Coast and specifically to Positano, if you look at the colorful houses surrounded by the green of the mountains on one side, and the blue of the sea, on the other. 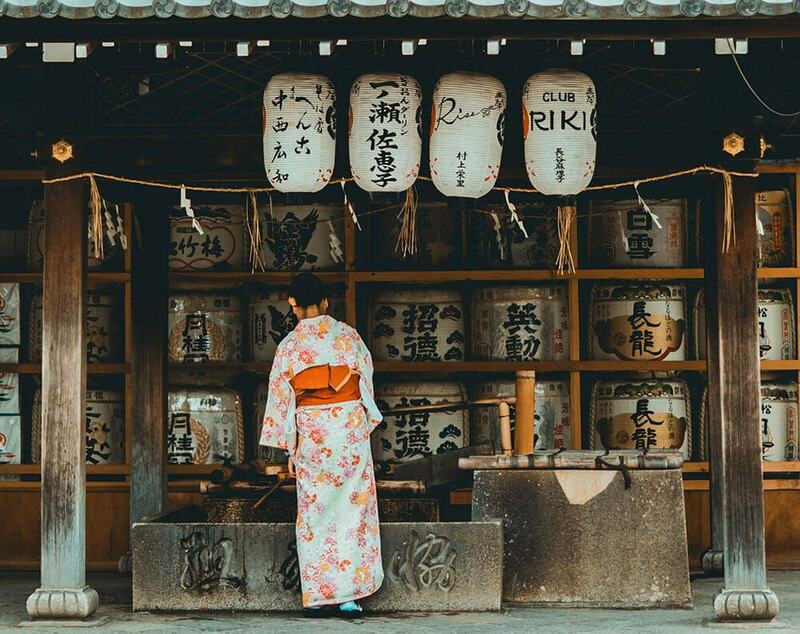 This very romantic cluster of towns is best explored using public transport – train, specifically – so preparing an itinerary before you go is mandatory. Choose which one of the five little towns you want to visit during your romantic weekend and find a hotel accordingly. 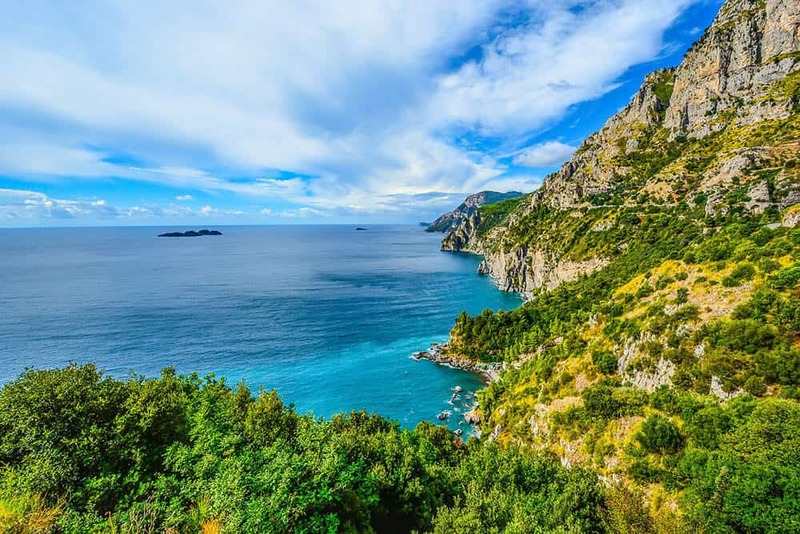 Cinque Terre is the perfect place for a slow kind of trip, just enjoying yourself and the delicious food without all the traffic of a big city. A road trip here isn’t really a good idea, because while the road comes with a view, it is particularly windy and especially in the evening that can be a bit dangerous. Besides, finding a parking spot can be a particularly difficult task! One of the most romantic things you can do at Cinque Terre is a boating trip to explore the little towns. The main boarding points are Levanto, Portovenere, Lerici and La Spezia. You can choose between a longer cruise, one day long, that lets you explore the little towns, or a shorter one that lasts just one afternoon. The shorter route will let you explore only Vernazza or Monterosso before you will be brought back to Portovenere or La Spezia. And maybe in front of the world famous trofie with pesto, the Italian farinata, fried bread or maybe a slice of rice cake with eggs, cheese and mushrooms (here you can book a wine tour that includes wine tasting and snacks), you will also find the perfect moment to propose! If your partner is a foodie, you could also make sure to plan a Cinque Terre food tour with a view: it will make for an unforgettable Italian trip! Bologna is a city for real foodies (Emilia Romagna region is very famous for its dishes). 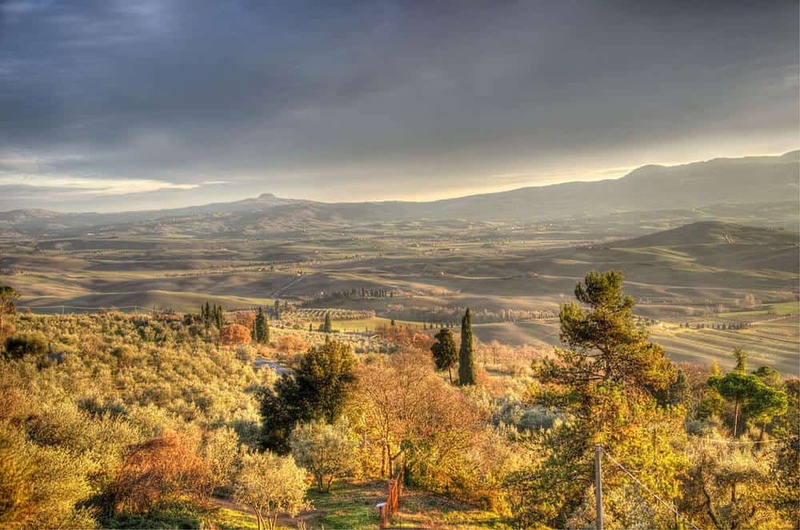 It’s the perfect Italian getaway if you enjoy art and traditional, homemade food. One of the highlights of the city is the “Torre degli Asinelli” (Asinelli Tower) also known, with its twin, as the Two Towers (Lord of the rings anyone?). You can visit the tallest of the two, dating back to 1119, only if you are willing to climb 498 steps to reach the top. If you can, know that it’s tall about 97,20 m. From the top you will be able to take breathtaking shots of Bologna and if the sky is clear enough you’ll be able to see the sea. It’s built on water, just like Venice, you can’t see many canals in Bologna. The most beautiful and romantic one can be seen from Via Piella. The Canale delle Moline has been used for centuries, because of the water mills in the area. In the evening it’s very romantic to walk under Bologna’s arcades: they cover every point of the city and they’re about 40 km long! Everyone knows about the delicious food here in Bologna, from the handmade pasta to the tortelli, to the pork meat used in so many dishes. Mortadella is the most famous cured meat, a large sausage also used to fill the tortelli or as a delicious foam that is generally served with little toasts or canapés. For a different experience, you can book a cooking class for two, to learn how to make a homemade Italian meal. If you are planning to spend a few days in the area, I strongly recommend planning a day trip from Bologna. There are quite a few interesting little towns that you can visit, mostly unknown to the crowds of tourists! The whole Emilia Romagna region is foodie paradise in Italy, if you want to know! 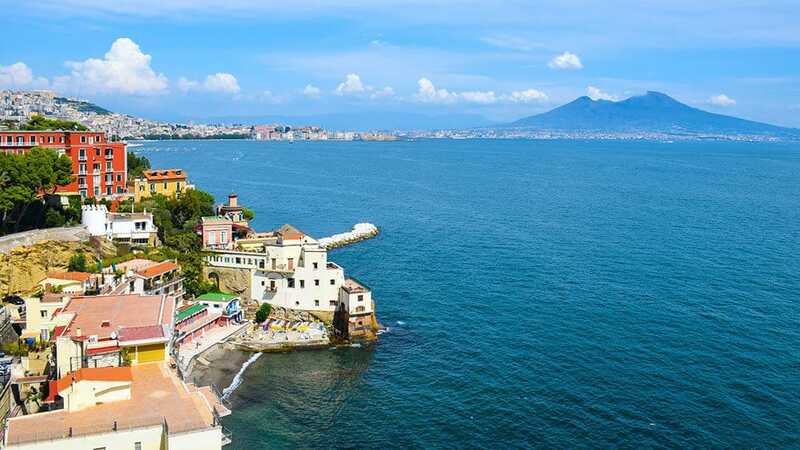 This jewel in the Gulf of Naples isn’t only the perfect place for a very romantic weekend, but it’s also the place, among the Italian getaways, with the highest number of proposals! A Capri honeymoon is also very popular worldwide. Here couples come to pledge undying love and there are a few places just about perfect for that. Like the Punta Tragara Belvedere and the Punta Cannone Belvedere, from which you can see the faraglioni, in the evening, when the mass of tourists has returned to Naples. If you want to pop the question under the faraglioni you can rent a boat and tell the captain about your intention. Once near the big arch he will slow down to give you time to enjoy the view… and find the ring. You brought it with you, right? If not, then maybe you can make it up by planning a romantic Capri honeymoon: the perfect excuse to get back for more! Other beautiful places in Capri to propose are the Eremo di Centrella, where you can also plan a romantic picnic, the Punta Carena lighthouse, especially at sunset, and the Belvedere delle Migliera. Here you will find a small amphitheatre where you can also have a symbolic ceremony like the one the poet Pablo Neruda planned for his beloved Matilde. Check out my guide to the best things to do in Capri from a local! Again, don’t forget to try the traditional Neapolitan dishes in Capri: the fishfood is always fresh and delicious. Alberobello is a tiny town in Puglia region, in the South of Italy, famous for the trulli and UNESCO World Heritage Site since 1996. 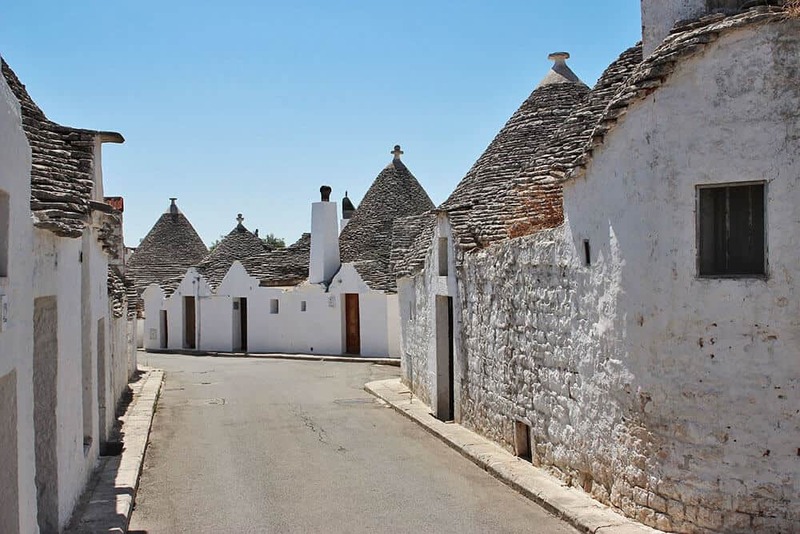 The romantic trulli are the perfect nest for a romantic weekend with your beloved. To escape the big cities and just spend some time cuddling and eating delicious food, tell the owner that you are celebrating a special occasion. Most of them will make sure to add elegant sheets, with rose petals scattered here and there and tons of candles. Generally they will also treat you to a bottle of red wine, two goblets, chocolate and strawberries. If you feel like cuddling all day long, make sure to arrange for your breakfast to be delivered to your romantic trulli, so you will be able to share it with your better half in bed. For many Italians Lake Como is more famous because of George Clooney than for its beauty (I meant the lake, focus!). Tales of his beautiful villa, of the parties with his vip friends and of the times he walked into one of the little towns to have a chat with the locals are well known in Italy. 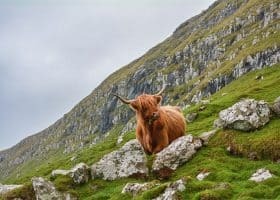 It might sound incredible but there really are people who know the area only because of him: rest assured, it’s not the reason why I added it to my list of Italian getaways! 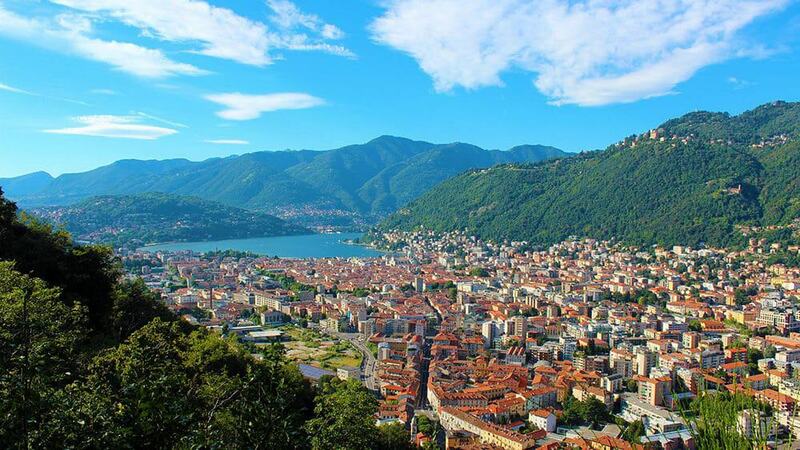 Lake Como has in fact so much to offer, from the historical city center to the funicular railway that brings locals and visitors to Brunate. Way cheaper than a boat ride and a great way to enjoy the view from above. The ride has a 55% slope and will bring you to Brunate, also called the “Alps balcony” because it offers breathtaking views on Lake Como and the Alps. Another very important city is Lecco, famous because it was in the novel “Promessi Sposi” (The Bethroted) written in 1827 by Alessandro Manzoni. While you’re in the area, if you’re looking for a very romantic place for your honeymoon, find lodging in Bellagio. The little town is also called the “pearl of the lake”, because it’s like a classy jewel, full of historical buildings and colorful houses. You could also visit Villa Serbelloni, a magnificent complex in a park made of exotic plants, rose gardens and beautiful views. This town is one of Italy’s best kept secrets, so I absolutely had to add it to my list of the most romantic and interesting Italian getaways. Civita di Bagnoregio is also known as the “dying city”. This beautiful town is in fact destined to vanish as it’s located on a hill, eroded at the base by two streams, as well as by the effect of rain and wind. Only a handful of families still live there and the silence as you walk the narrow streets only adds to the unique feel of this place. The main highlight, aside from the views and the fact that it feels like stepping into a twilight zone, is the Cathedral, probably built in the early 7th century. Inside you will be able to see a 15th century wooden crucifix. To be honest, in stead than calling Civita di Bagnoregio the “dying city”, I prefer to refer to it as the “cat’s town”. Even before you step on the long bridge that will led you inside the city walls, there are warnings everywhere: you are not to touch the city’s protected cats. Volunteers take care of the pretty big cat colony and they make sure the visitors don’t mess up with their work. The result is that as you stroll through the narrow streets you will see dozens of cats just hanging around, or mostly sleeping. They are more photographed than movie stars on red carpets, take my word on this! Civita di Bagnoregio is the perfect place to propose in a very unique setting, especially if you go early in the morning, or at sunset, when the whole town is bathed in the last sun rays of the day, making everything pink and orange. A romantic weekend in Milan? Before you think I’m crazy, let me tell you that in this big Italian metropolis there’s still space for the undying romantics. This is one of the easy-to-go-to Italian getaways: Milan is well linked to two airports, and it’s reachable thanks to a series of fast trains and bus services like Flixbus. You won’t need a car thanks to the extensive metro network divided into colors. It’s easy, cheap and it will bring you wherever you want to go. If you’re looking for something different than Duomo or shopping, there are a few big parks that you can visit. 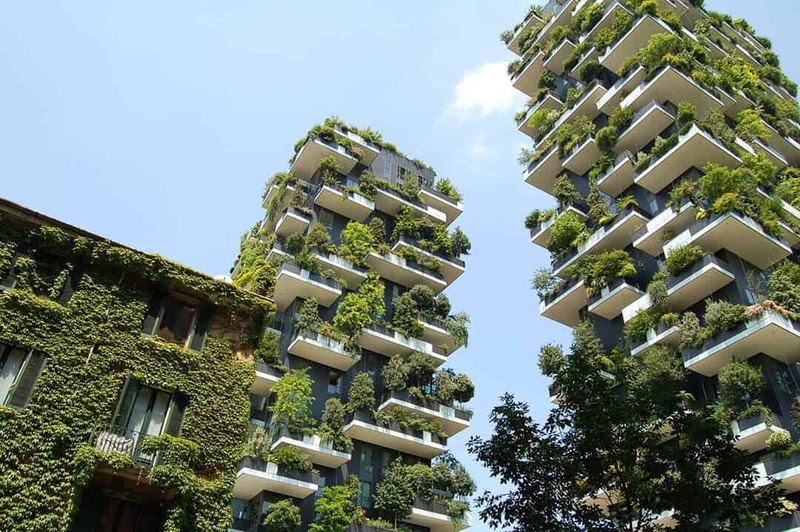 Think of Central Park in New York: Milan has a lot of green areas but some can be particularly crowded. If you’re visiting Italy in Spring, make sure to add the Brera Botanical Garden to your itinerary. It’s the perfect place for a romantic walk hand in hand, through colorful bushes and cute little ducks. The Indro Montanelli Gardens are also pretty big and mostly visited by locals only. Inside you will also find the Natural History Museum, which often has interesting exhibits. Milan still holds onto its past, not only for the Christmas markets I already told you about, but also for repurposed areas like the Vicolo dei Lavandai. In 1800 in this street people came to find the washermen fraternity shops. Today Vicolo dei Lavandai is one of the most romantic (and mostly unknown to the tourists) areas of Milan. It’s been completely redone, with a touch of romance, and it’s very common to find lovers walking hand in hand or having a candlelight dinner in the (only) historical restaurant in this area. You’ve probably got it by now, but Naples is my city and I am deeply in love with it. While in the past I gave you a one day itinerary for Naples and information about the traditional Neapolitan dishes, now I want to highlight the romantic part of my city (read my article in case you are wondering if it is safe to vist Naples). Lungomare Caracciolo in the evening is probably the favorite place for couples (and the place for my first date with Aldo!) who love to walk hand in hand by the sea, while the Moon shines into the quiet waters of the Gulf of Naples. Which is mostly why I wanted to add it to my list of the most romantic Italian getaways. In this area you can either eat a “cuoppo” with fried fish, a delicious pizza or a romantic dinner. If you’re planning to propose, keep walking until you reach the area where the luxury hotels are located. Right in front of them you will see Castel dell’Ovo, our beloved “Egg Castle”. In the evening the small stone bridge that connects the tiny island to Naples is all lit with romantic street lamps. And it’s the one place in Naples where most people propose to their significant other. If you want to celebrate a special occasion, your proposal or also want to have a special evening for your honeymoon in Naples, cross the stone bridge to Borgo Marinari. Here, next to Castel dell’Ovo, you will find a few tiny candlelight restaurants that will be perfect for that. Of course be prepared to eat lots of delicious fresh fish (away from the crowds)! Are you dating an adventurous someone? No worries! Why don’t you go hiking on Mount Vesuvius? You can hike your way up to the crater! Bonus tip: in stead than renting a car use the Naples Metro to explore the city and enjoy the new Art Stations (contemporary art museums for free)! There’s so many things to see and do in Naples that you won’t get bored for sure! 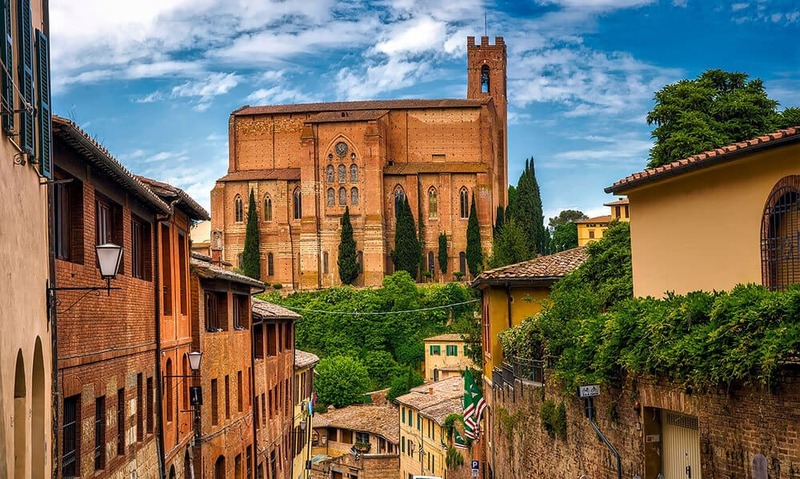 If you want to plan a Tuscany honeymoon and you don’t want to feel suffocated by the crowds in Florence, Siena could be the perfect compromise. 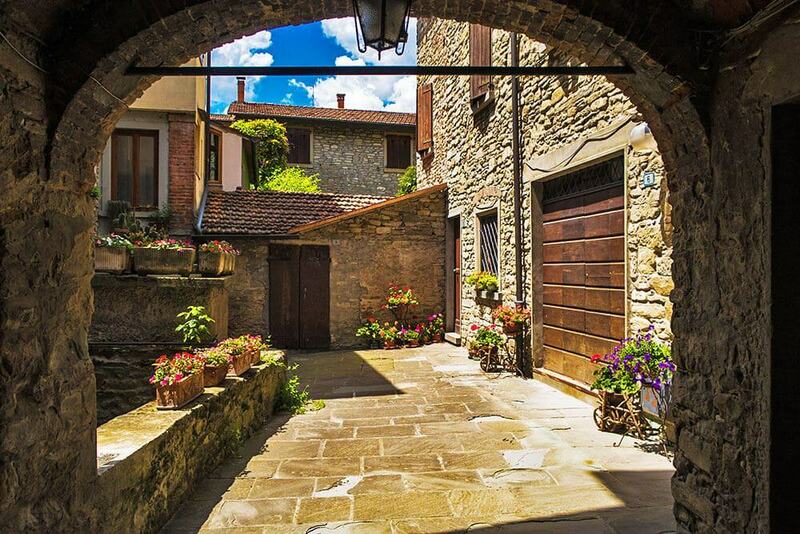 This beautiful little Tuscany town has so much to offer for every kind of tourist. In case you aren’t scared of heights, climb up the Torre del Mangia, the most famous bell tower in Tuscany. Siena and the surrounding countryside are even more beautiful from above! Downstairs, Piazza del Campo is full of restaurants and tea rooms. If you feel at home within the crowds of tourists and students, this is where you want to go to in the evening. On the contrary, have a nice, full breakfast at Piazza del Campo in the morning or enjoy an aperitivo at sunset before the crowds take over! On the contrary, Piazza San Francesco is very crowded during the day (especially because of the University) and quiet in the evening. Perfect place to have a gelato. After all it’s the image we all have in mind when we think of Italian getaways, right? For the undying romantics, the Orti dei Tolomei, in the Sant’Agata area, is perfect to lay down on the grass at night: star watching is popular here and the place is very romantic, as well as particularly quiet! 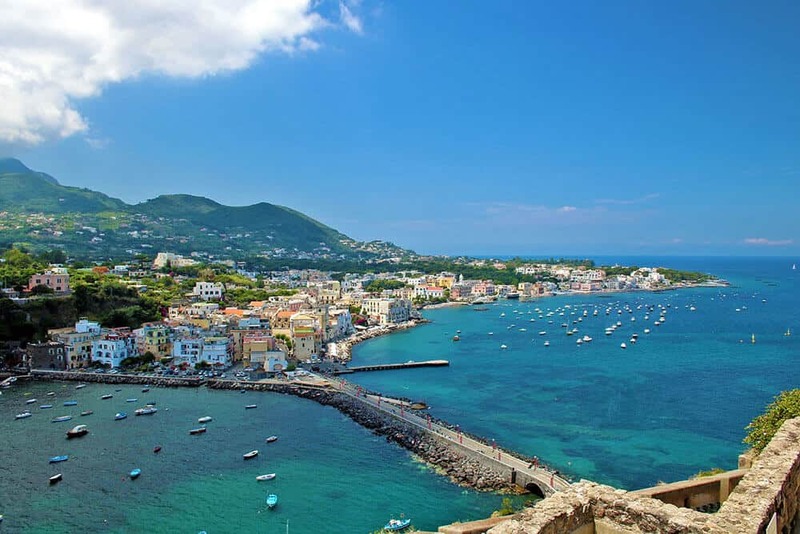 Not too far away from Capri, Ischia is another pearl in the Gulf of Naples and the biggest island in Campania region. Every year over 6 million tourists visit Ischia, worldwide famous for its hot springs. This volcanic island in fact has a whopping 103 natural spas all concentrated on 42 km2 and is best visited in spring or autumn, because the warm months are always overcrowded and noisy. The thermal gardens look like slices of paradise, as the thermal pools are surrounded by exotic gardens and not too far away from the beach. The natural pools are always warm or very warm (over 40° C) and rich in minerals, so this we can definitely say that Ischia is one of those Italian getaways completely dedicated to wellness, relax and good food. The traditional dishes in Ischia are the “Coniglio all’Ischitana” (Ischia rabbit slow cooked with small tomatoes, garlic, oregano and olive oil), and a delicious octopus cooked with candied tomatoes, potatoes, olives and capers. Definitely a must try, as you can only eat the traditional recipes in Ischia. Of course you will also be able to eat other delicious dishes with Naples local recipes. 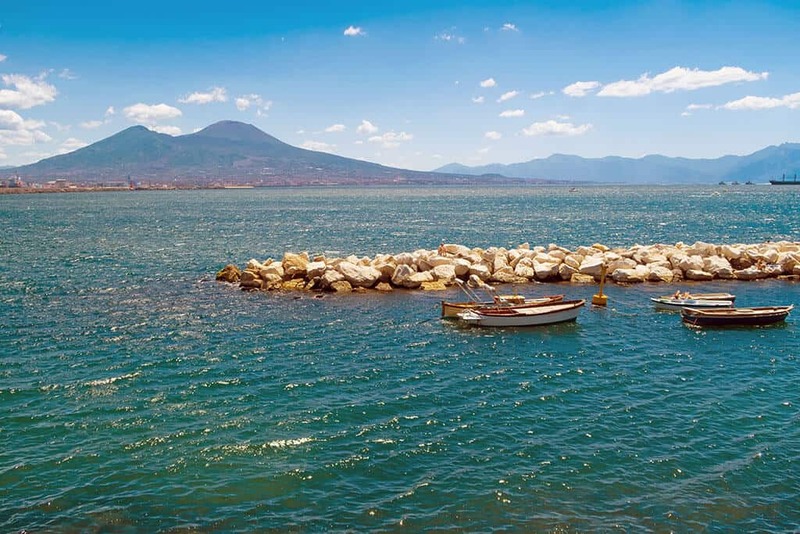 To get there you can hop on a ferry from Pozzuoli or Molo Beverello in Naples. We discovered Palazzuolo sul Senio thanks to the Memorial Enzo Mengozzi. One of our Italian getaways where we crossed the Apennine on horseback to go from Firenzuola to Palazzuolo, this beautiful little town not too far away from Emilia Romagna. Me and Aldo fell in love with the place as soon as we got there (and no, it wasn’t because we’d just been on the saddle for over 7 hours!). A small river crosses the town, loved by the fishermen and surrounded by beautiful green areas where people love to go to just lay down on the grass. It’s full of flowers and romantic weeping willows. A wonderful historical clock tower welcomes the visitors, giving a strong fairytale vibe. Palazzuolo Sul Senio can be a great idea if you want a very romantic place to spend a weekend or a chunk of your Tuscany honeymoon. It’s a tiny village with stone houses, still untouched by mass tourism and completely dedicated to slow food, genuine farm-to-table products and wellness. If you know how to ride, this is the perfect place because horses are a big part of the tradition at Palazzuolo sul Senio, so you’ll be able to explore untouched areas on horseback. And even if you don’t know how, there’ll be still time to get a lesson or two! On the contrary if you want to hike there are awesome hiking trails through the chestnut woods, and you will also be able to join one of the local groups of enthusiasts who birdwatch: they’ll be more than happy to teach you everything they know about the birds living in the area. Just like Palazzuolo sul Senio can be a good alternative to the most famous (and crowded) cities in Tuscany, Tivoli is the perfect getaway that you can add to your Rome itinery for 4 days (or more!). A romantic weekend in this cute little town means that you will be immersed in history, nature and good food. Worldwide famous, Villa d’Este has to be added to your itinerary, especially if you’re visiting Tivoli in the summer. Its beautiful gardens in fact will offer refuge from the heath of the warmest months. You could visit Villa d’Este in the morning and the nearby Villa Adriana in the afternoon. Both, just like Villa Gregoriana, have been added to the UNESCO World Heritage Sites list. Located just about one hour away from Rome, Tivoli can be reached by car, bus or train. This cute little town is one of the best Italian getaways for those who are looking for a quiet place and for families traveling with children. A romantic weekend in Tivoli becomes, in fact, the perfect way to learn Italian history through beautiful views and away from museums, but it also offers the chance to taste ancient recipes, with farm-to-table ingredients. You’ll feel like time has stopped! Another very romantic little town out of the beaten track for a Tuscany holiday or honeymoon is Pienza, located in Val d’Orcia, South of Siena. Nestled between wonderful green hills and breathtaking views, it was built as the ideal Renaissance city. Lovely building covered in travertine marble that gives them a light green color, narrow streets and even some views that you might recognize from “Romeo and Juliet” one of the masterpieces of the Italian director Franco Zeffirelli. Walking hand in hand in Pienza really does make you feel like you’re stepping into a painting: this is one of those little towns that represent my Country and that you should always add to your bucket list of Italian getaways. Pienza is also famous for its cheese, called “pecorino di Pienza”, made with sheep milk. It is sold, together with wine, spices, pici (a particular kind of pasta), honey and other traditional products throughout the little town. Cheese is so important here that every September they have a “Fiera del Cacio”, a town fair where you can eat free samples of the local products and enjoy century old traditions. They even have a “Palio del Cacio Fuso”, an exhilarating game where the participants, one for each district of Pienza, have to push a wheel cheese around a little wooden spindle in the middle of the main square. Let me just tell you… be ready to laugh a lot! We already told you about our itinerary in the Tuscia Viterbese: one year later we still think it was the most relaxing of our Italian getaways…ever! The Tuscia Viterbese includes parts of Lazio, Tuscany and Umbria regions. 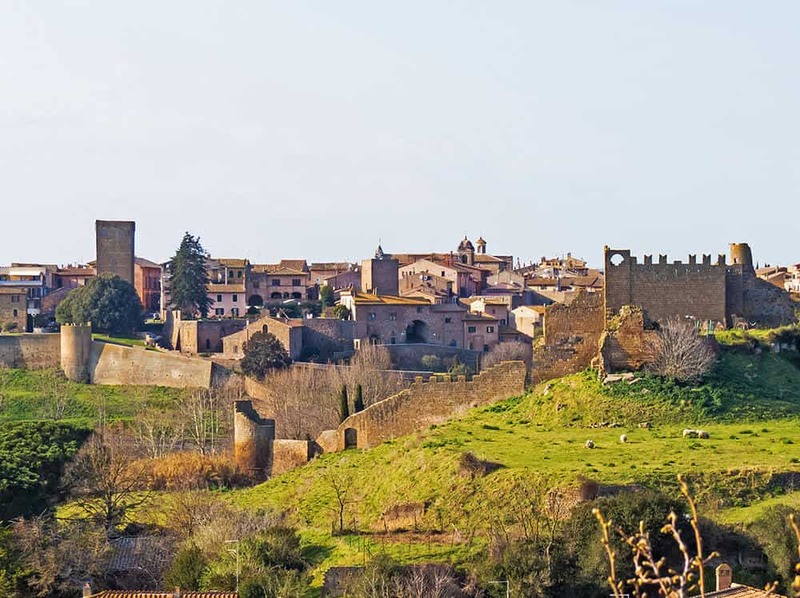 It’s a place full of history where you can spend a romantic weekend with your better half, walking hand in hand on the shores of Lake Bolsena, eating traditional dishes and learning so much about the Etruscan history. The area is best seen in Spring or in February for Valentine’s day, because during the Summer is pretty busy with (mainly) Italian tourists who go there to enjoy the good weather and the lake. Whether you decide to visit Bisentina or Martana, the two (very) tiny islands on Lake Bolsena, or the breathtaking Bomarzo Sacred Grove, remember to have a glass of the delicious wine produced in Montefiascone: “Est! Est!! Est!!!”. We decided to spend a weekend here to celebrate Valentine’s day and aside from getting back very relaxed and recharged, we discovered that food in the area is divine! If you are visiting for Valentine’s day or out of the tourist season, remember to book in advance also your restaurants. Many tiny towns in the Tuscia Viterbese have restaurants opened only in the Summer and unless you have planned everything in advance, it might get difficult to find one! Rome is probably on everyone’s list of Italian getaways and for a good reason. It’s a big city with so much to see and do, so if you are planning a short break there or just a romantic weekend, it’s mandatory that you plan well in advance what you want to see. Prepare a list with the best places to go and things to see in Rome and take into account not only how long you’ll be there but how much time it’ll take you to reach the area. Remember that traffic in Rome is a nightmare! Buying tickets in advance online might be a great idea to avoid the long lines, provided of course that you get them on official websites, to avoid getting scammed. If you are planning to celebrate a special date with your partner or if you want to visit all the most romantic spots, then take note of those that even the locals go too, if they want to romance someone. The most beautiful walk in Rome, according to the locals, is the one at the Pincio, the first public garden in Rome, built thanks to Napoleon. From the terrace at the back of villa Borghese the view on Piazza del Popolo will leave you speechless. If you’re looking to propose or just to give voice to your feelings, plan to go see the sunset behind the Campidoglio. Walk up the road that takes to the Town Hall and from above you’ll see a wonderful view of the Roman forum. After dinner, if you want to have a night walk and are already in the area, visit the Gianicolo area. 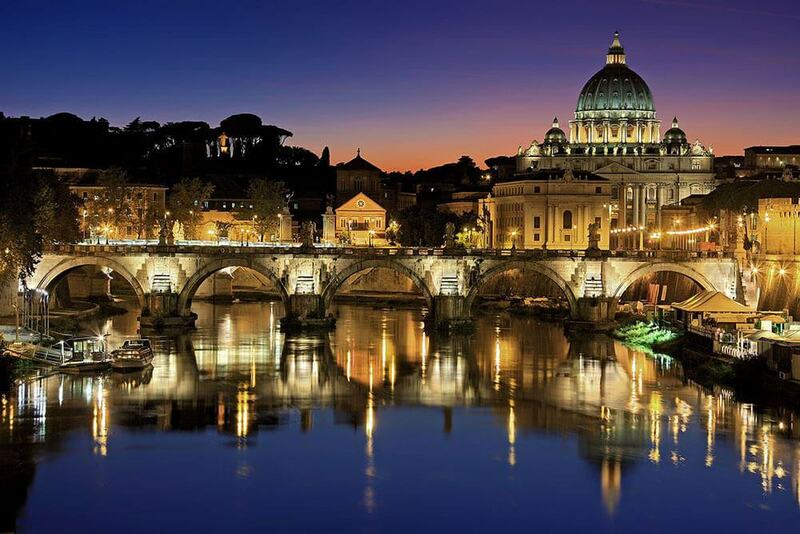 The view of Rome all lit up is surreal! I’m sure you’ve heard of the Fontana di Trevi, the most famous (and crowded) in Rome. Well, not many people know that on its right there’s a tiny, rectangular one. It goes almost unnoticed, but here they say it’s for the lovers. A legend in fact claims that if a couple drinks here, they’ll both stay in love and faithful to each other for life. Another very beautiful postcard of Rome (together with the Colosseum) is the stairs at Trinità dei Monti. Yet because it’s so famous, it’s always very, very crowded. You can try to take pictures with less people if you go there early in the morning, midweek but… don’t be too hopeful! If you are looking for deals, check out the newly opened Hampton by Hilton Rome East: they’re having huge sales and the food is absolutely delicious! Last but not least in our list of the best Italian getaways, the magnificent Pisa. 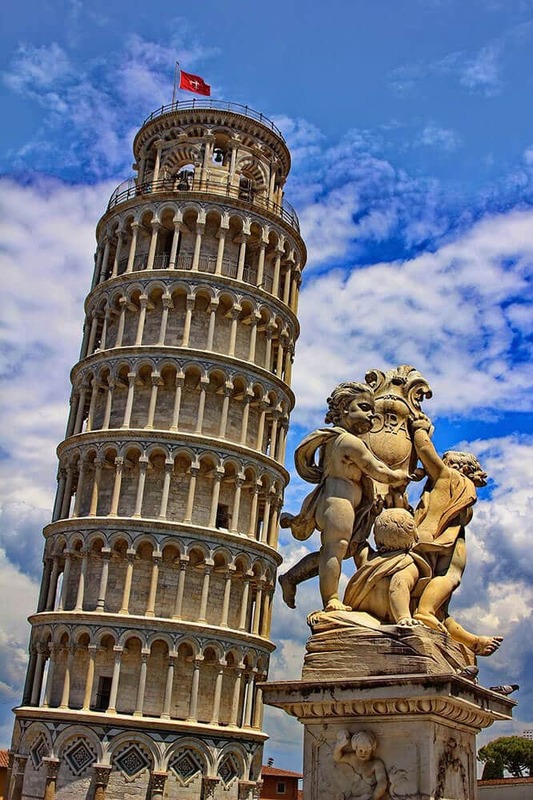 Worldwide famous for its leaning tower, UNESCO World Heritage Site, located in Piazza del Duomo, also known as Campo dei Miracoli, Pisa offers so much more than that. Rich in history and art, it can be the perfect base for a very romantic Tuscany honeymoon or for a weekend with your special someone. Not too far away from the Tower of Pisa, in fact, you can also visit the bell tower, the baptistry and the Duomo. A nice walk (less than 1km) will lead you to Piazza dei Cavalieri, one of the most beautiful areas in Pisa. The gorgeous Palazzo della Carovana is home to the prestigious Scuola Normale di Pisa and one of the masterpieces of Giorgio Vasari. 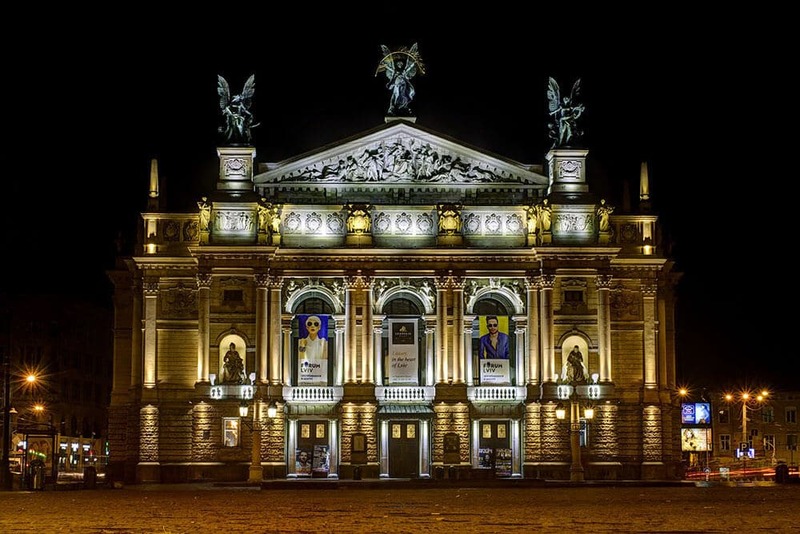 The facade is completely decorated with zodiac signs and allegorical figures. Also in Piazza dei Cavalieri you can visit the Chiesa di Santo Stefano and then move to two less crowded areas generally (mostly) left alone by the tourists. While walking near the Arno river in Florence is messy also in the evening, here in Pisa it’s very quiet… and romantic. It’s the perfect place if you are planning to propose, with all the lights reflecting in the placid water and this Italian beauty as a background. If like us you like street art, don’t forget to visit “Tuttomondo”, a huge mural that covers entirely the back of the S. Antonio Church in Pisa, by the American artist Keith Haring. Pisa is also very known for foodie tours, because here you can taste all the traditional Tuscany recipes and also the specific twists. Among the most famous dishes the Riso al tartufo alla Pisana (Pisa recipe for risotto with truffles), a traditional recipe for boar meat, Torta coi bischeri (a traditional cake) and Minestra sullo scio alla moda di Volterra (a delicious local soup). If you are visiting Italy in February it might be cold: make sure you have everything you need with our packing guide for winter! Here you can also find the ultimate list with souvenir ideas for your trip to Italy! I love Italy but I love it even more now I’ve seen this. Your pictures are gorgeous and just remind me that there are tons of places to see in Italy still on my bucket list. Definitely, there’s so much to see and do that sometimes it’s difficult to choose! We usually travel together on Valentine day and this is a perfect list. All the romantic Italian getaways mentioned by you here, sound equally tempting. But if I have to choose one for V- day then for sure it will be Cinque Terre or Venice. Italy is such a romantic place! I would love to check out the Amalfi coast. I had a friend who went there last year and her pictures look absolutely stunning! Aw I don’t live too far away, where did your friend go specifically? We love the Amalfi Coast! Romantic or not, Italy is one of the to do places in the world. This article is an absolute masterpiece on what all to do in Italy 🙂 🙂 you have covered all the standard places and included some of the gems of Italy too. Thank you, I tend to prefer the off the beaten path destinations but Italy has so much to offer that I tried to draw a line (of course based on my preferences!) on the places that one should definitely add to a bucket list! I think so too, there’s so much to see and do that just saying “Italy” isn’t enough, especially if you don’t have at least 1-2 months to explore all the best places! 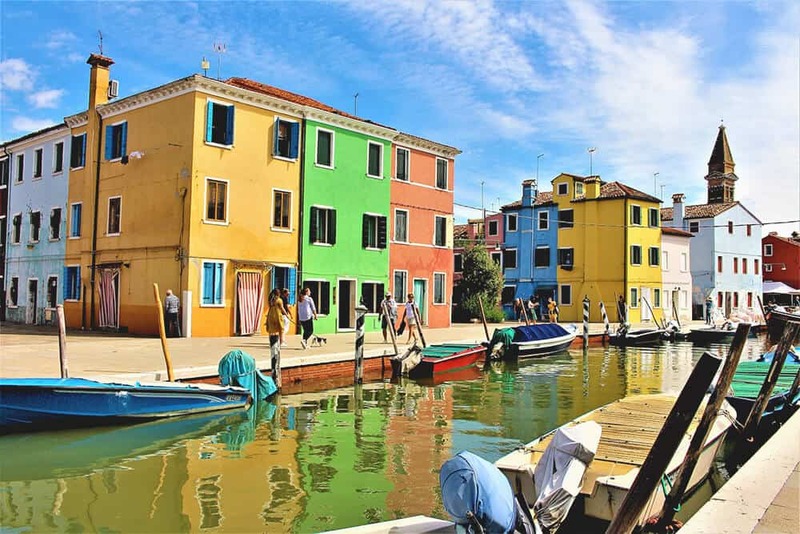 As far as Venice, I must say I preferred Burano, but I always make sure not to go during the weekend or the high season: it can be overwhelming. I’ll have to check out the JW Marriot tho, I’ve never been there! Stunning post of such beautiful scenery and recommendations of romantic activities! I love that Juliet’s balcony in Verona is listed as number one. I visited here and it was absolute bliss! I was single at the time, unfortunately. I would love to visit all of these suggestions with my hubby – they are all so gorgeous! Of course it is: the house of romance! 😀 I’m sure you’d have a great time with hubby and think of it that way: you already know where to bring him for a surprise romantic trip! I need to find a boo quick as you are making me want to experience the romantic side of Italy. I’ve been to Italy (Rome, Florence, and Venice) twice as a solo traveler. The next time will be different. One of the dream trip is to visit the Amalfi Coast. The Amalfi Coast is one of a kind! Make sure not to visit during the crowded periods tho, even us locals stay away, it can be definitely overwhelming! Haha yes we feel pretty lucky! You’re right in saying that so many places in Italy are this romantic! I adore Italy, and you are right that so many destinations there are perfect for a romantic getaway. My personal favourites from your list include Venice, the Amalfi Coast and Bologna (a foodie paradise), but I’m keen to check out some of the places I’ve not yet been such as Pisa and Pienza. Oh my gosh, it doesn’t take much to convince me to go back to Italy. I’ve yet to experience the Amalfi (those homemade limoncello tastings sound pretty great) and Cinque Terre. Pesto with a view? I’m there! I think that unless you plan a long trip here, you’d have to choose between the Amalfi Coast and Cinque Terre because they’re so far away! But then again if you’re thinking of limoncello tasting, seafood and traditional recipes, maybe Amalfi would be perfect! What a great list of places to spend Valentine’s Day. The Adige River would make a great backdrop for a proposal. 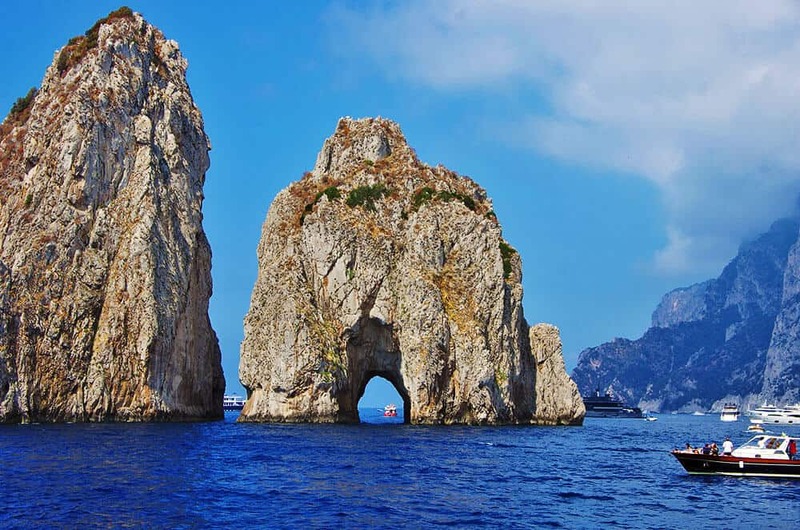 The Faraglioni Arch in Capri would be another ideal spot. So many beautiful places any would be perfect. Italy offers so much in terms of romantic places, not only for Valentine’s Day but also for honeymooners! What a list! I just spent 3 weeks in Italy last October and your article makes me realize that I have barely scraped the surface. All of these cities sound amazingly romantic. I definitely was missing my boyfriend in Cinque Terre – it’s the kind of destination that is even better when you have someone special to share it with. That’s why I prefer to visit with my husband and you’re so right! 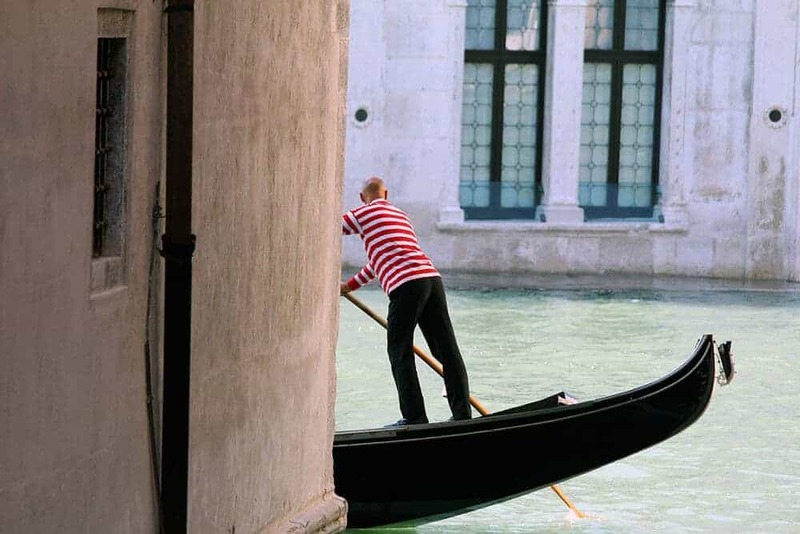 I have heard the lines in Venice can be awful but people have had been having great luck with guided tours. Not only do you have a guide for the day, but they can get you “head of the line” privileges for the big attractions, like David. This was a very well composed list and I could imagine any lady would be ecstatic with any of these vacations as a Valentines Day trip. Guided tours in Venice are also very expensive so it really depends on the budget! Cinque Terre, Capri, and Lake Como are some of my favorite places. They are truly breathtaking in every aspect. Thanks for sharing some other awesome destinations in Italy. I need to plan a trip to Italy very soon. Fingers crossed that you come here soon! Italy must indeed be a romantic’s dream come alive. So naturally, a country to head to with your Valentine in tow. The options that you have listed are all really exciting. My favourite pick would be Siena and the Amalfi Coast. Amalfi Coast is also my top choice! They all sound so romantic. However, if I had to choose, I think I would like to explore Cinque Terre, the Amalfi Coast, Lake Como and Tivoli. Having said that, I would still like to explore all of the 20 places with my beautiful wife. You have great taste Lance! Italy is a really gorgeous country. I have been there twice and have visited some of the places in this article. 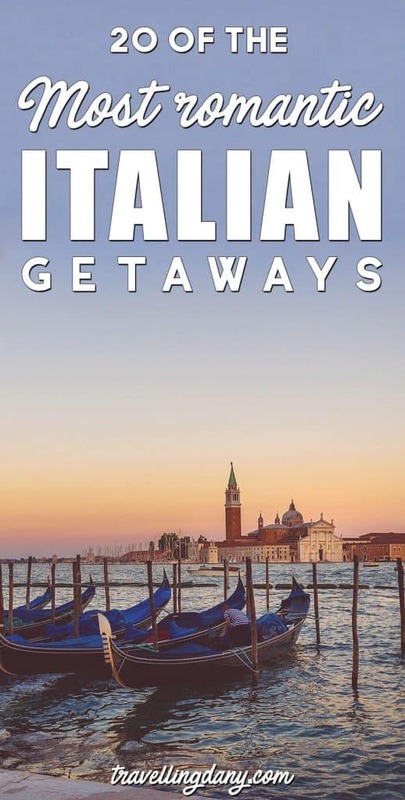 I like how you mix very famous with off the beaten track places, it’s great resource to plan an Italian itinerary! Your photos are very nice too, I like the HDR and colorful feel. These all are beautiful destinations for celebrating Valentines. We would love going to Amalfi coast, Capri & Lake Como. Having candlelight dinner near Gulf of Naples will be just like a dream. 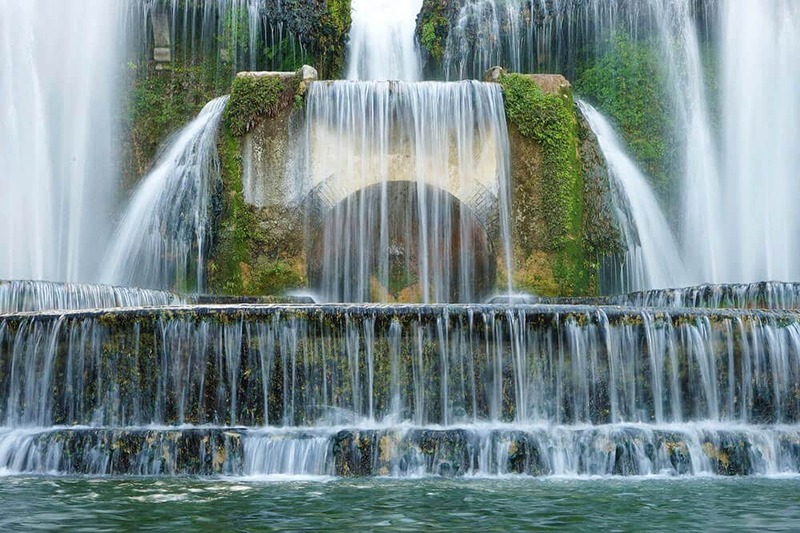 Fountains at Villa d’Este, Tivoli is also breathtaking. Hey Dany, although i’m not the romantic type this was a really great read! I thought the photos were great as well! What would you say is your top romantic getaway in Italy? Even though we have kids, my hubby and I always try to squeeze a little romance into our trips and we found much of Italy to have quite a romatic vibe. I loved Venice and Florence the most. The gondolas were so much fun. Hey! Thanks for the amazing inspiration, I quite love Italy and I think Venice or Verona is really perfect places for a romantic trip! I would like to visit Bologna though, your piece made me wanna go back to Italy. Fingers crossed that you get to come here soon! Valentine day or no! Most places have something romantic and is a must visit anytime of the year! 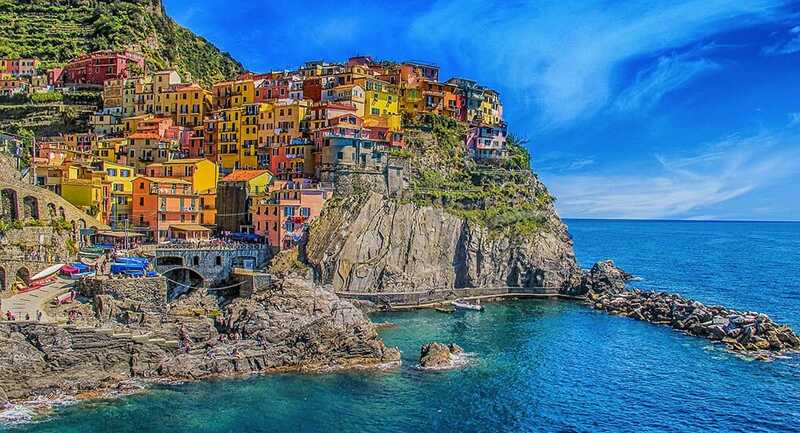 My favorite is Cinque Terre and would surely visit it sometime. Italy is one of my favourite countries to visit. I love your selection. I would be really hard pressed to choose just one of these destinations. Even though I have visited many of them I keep wanting to go back and explore more. I haven’t visited Bologna and being a foodie that’s on my list. The views from the tower sound amazing! It’s just a pity that I live so far away or I would be there at a drop of the hat. Some are perfect for a road trip, that way you get to see more with just one trip! The food in Italy is delicious wherever you go, so you wouldn’t be disappointed! Wow what a great collection of romantic Italian cities. Italy is filled with so much romance, I’ve been to some of these places, obviously not all, but I have all good things to say about them. Especially Venice, Florence, Amalfi Coast and Capri. It’s a pity I haven’t been to Verona, it looks perfect! Capri is SO beautiful, tiny, romantic and pretty, everything at hand! Have you also been to Naples? Italy is the perfect place for Valentine’s day, so romantic. What a great list you have made with lots of ideas. Thanks for sharing. I am not much of a Valentines Day person but I would surely not say no to a nice getaway with my partner. Italy seems to offer a lot of choice for small adventures for two. You’re so right, Italy offers such a variety of romantic places to visit! I have just got back from interrailing around Italy. What a country and yes, very romantic. Great post. Oh wow what cities did you see? There are just so many romantic places in Italy, it seems so hard to pick just one. I think for me, my pick of choice would be Siena and Milan. I really do like the city and think that even in the biggest metropolis lie isolated nooks and crannies. And Siena just seems so beautiful, like Tuscany without the crowds. We’re going in Milan in a few days and you’re right, one of the nicest places! The less crowded place we’ve found in Tuscany is Palazzuolo sul Senio tho, Siena is also pretty popular!